BET Networks and Viacom will rename Centric cable network to BET Her beginning on September 25, 2017. Just a bit of history, Centric was previously called BET on Jazz, then renamed to BET Jazz, then BET J, before turning into Centric in 2009. Now come this fall, Centric turns into BET Her. Targeting African American Women 25-54, BET Her takes its rightful place within the BET family as it more closely aligns with the flagship brand. BET Her will invite viewers on a journey through music, culture, travel and lifestyle - everything that is important to "Her" being. The only network dedicated to African American women 24 hours a day. Currently Centric airs Family Matters, The Soul Man, Eve, Half & Half, and In the House. No word on any programming updates just yet. Damon Wayans Jr (New Girl, Happy Endings, Big Hero 6), along with his partner, Kris Jones, is featured on the new Apple/Propagate television series, Planet of the Apps, to introduce their new app Special Guest, that allows anyone, anywhere to hire live entertainment on demand. Special Guest takes away the problem for hundreds of thousands of live entertainers struggling to secure work due to the difficult process of securing gigs. The app leverages mobile to remove friction from the traditional talent booking process enabling anyone, anywhere to hire live entertainment on demand, by providing the technology for anyone to seamlessly host live entertainment in their home, backyard or similar non-traditional venues with the push of a button. 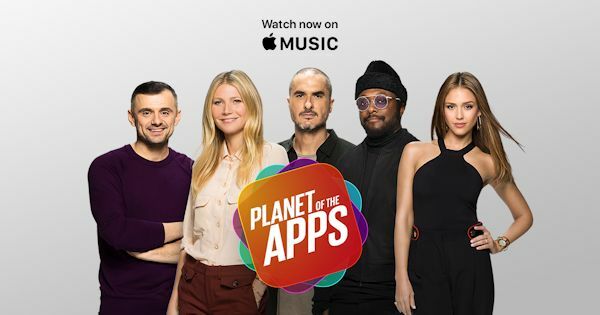 Planet of the Apps – POTA is a new weekly Propagate series about apps and their creators, featuring Advisors Jessica Alba, Gwyneth Paltrow, will.i.am, and Gary Vaynerchuck. The 10-episode series debuted on June 6, with new episodes premiering exclusively on Apple Music every Tuesday. Each episode features a select number of app developers, who pitch their ideas to the Advisors who then vote as to whether or not the apps can move into the next round for mentorship and funding.